Serving: Eagan – MN – Minnesota and the surrounding areas. Cascade Bay is a Waterpark operated by the City of Eagan Minnesota. The waterpark is seasonal, scheduled to be open approximately the second week of June through the end of August (with preview dates and extended season dates as optional). The park is a perfect setting for a summer fun Birthday Party event. 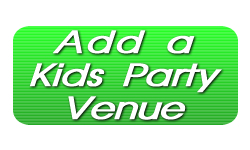 With several birthday party packages that include swimming or mini-golf, your guests will have a great time! Call or visit our website for more information.